Today on WEMU I heard that Ann Arbor announced that they want to be a “Solar Ready” city, Ann Arbor Wants To Become A ‘Solar Ready’ Community”. What’s interesting is the article says they currently have about 150kW of installed solar. I always wondered how much solar power our neighbors to the west had installed. 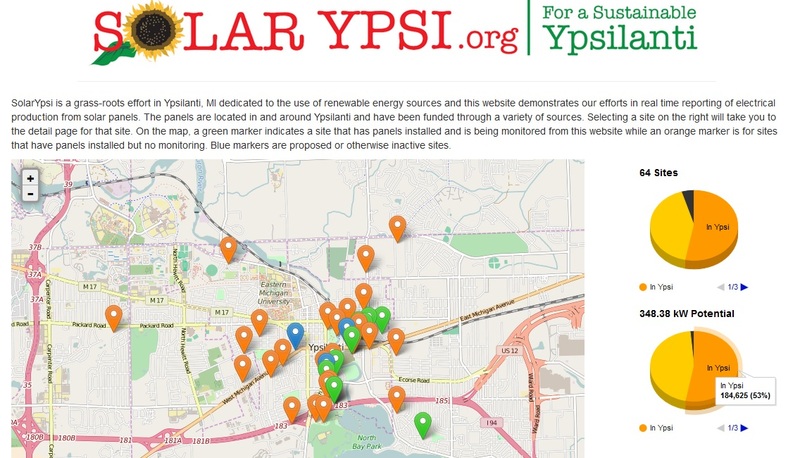 I checked the SolarYpsi map today and Ypsilanti has 184.6 kW of installed solar! This is pretty impressive for a city 1/5th the size. In the spirit of friendly competition, I encourage all Ypsilantian to call a solar contractor today and get a quote for your home. The typical home needs about 5kW to be 100% solar powered, but something as small at 3kW can still make economic sense. At about $3/watt installed, so a 3kW system could cost about $10,000 and you’ll get 30% of that back on your Federal taxes. SolarYpsi is also seeking funds to make solar rebates through the City. If anyone has any leads on philanthropic people/organizations that would be willing to fund a solar rebate project, please contact me. 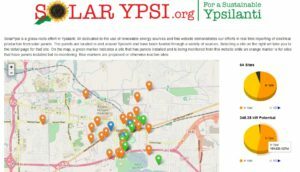 Install some solar on your home today and keep Ypsilanti in the lead.